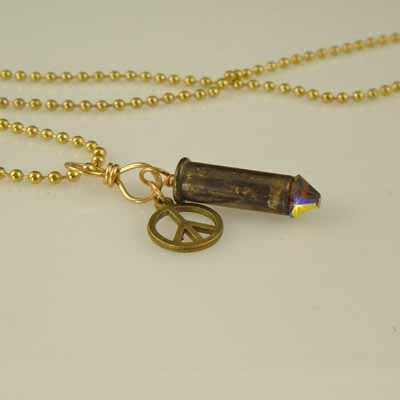 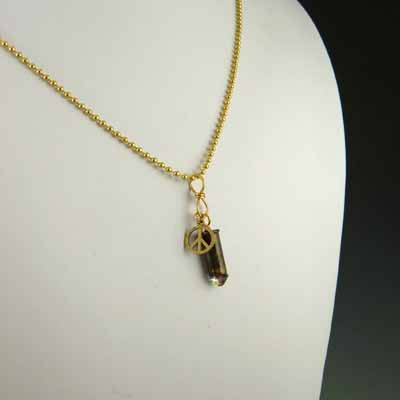 A 22 recycled bullet casing with Copper AB Swarovski crystal and antique brass peace charm makes up this simple, yet charming bullet necklace. 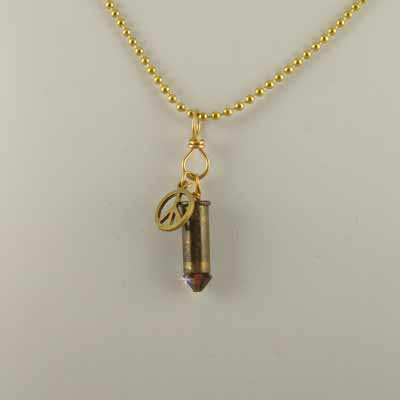 Left unpolished the shell complements the copper color of the crystal and fits todays fashion themes. 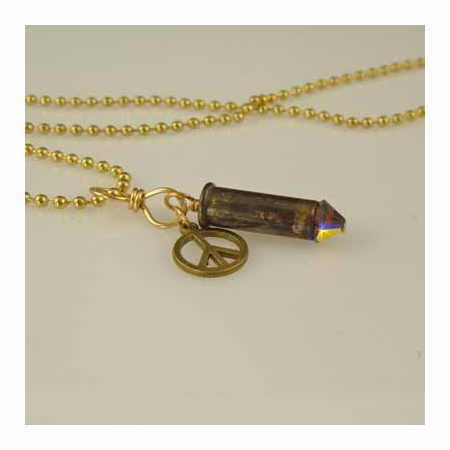 This bullet necklace pendant looks just as nice worn on a leather cord.